In the decade prior to the Second World War, the Regia Aeronautica was undergoing an extensive modernization program. As part of this program, more steel monoplanes were entering design and production. Additionally, the Regia Aeronautica began looking into the concept of an all-metal monoplane that could fulfill multiple combat roles. The first foray into this style of aircraft resulted in the Breda Ba.64. Designed by Antonio Parano and Giuseppe Panzeria, the Ba.64 ground attack aircraft derived from the Breda Ba.27 fighter design. The intention in designing the Ba.64 was to create a plane that could perform reconnaissance, fighter, and bomber roles. 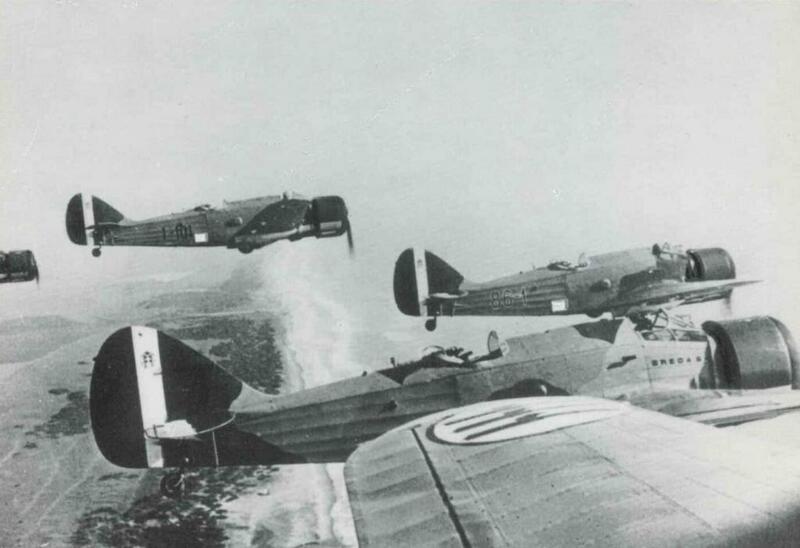 A formation of Breda Ba.64 in flight. In practice, the design was found wanting, leading to a small production run and brief service life. As a result, the improved Breda Ba.65 came into service, taking on the role the Ba.64 was meant to fulfill. 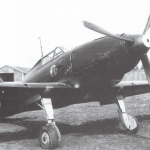 Nonetheless, the Breda Ba.64 was an important step forward for Italian aircraft design. It presented a solid effort when steel monoplanes were in their infancy and one which led to better things. Additionally, some of the small batches would be sold as far away as Latin America. The Breda Ba.64 could carry a crew of either one or two men, depending on the mission. The plane measured 9.72 m front to back, and the wingspan reached a length of 12.10 m. The wing area amounted to 23.5 square meters, and the frame reached a height of 3.14 m. With no load, the Breda Ba.64 weighed 2,030 kg. The maximum safe takeoff weight of the plane was 3,034 kg. The plane derived its power from an Alfa Romeo 125 RC.35 radial engine, boasting 650 hp/ 485 kW. The Ba.64 prototype first flew in 1934. In terms of armament, the Ba.64 possessed two 12.7 mm Breda-SAFAT machine guns and up to three 7.7 mm Breda-SAFAT machine guns. One of the 7.7 mm machine guns provided backward facing defense via a rear mount. For ground attack, the Breda Ba.64 carried up to 544 kg (1,200) of bombs. The 650 hp engine provided a maximum speed of 350 km/h, and overall the design had an effective range of 900 km. The service ceiling of the Breda Ba.64 reached heights of 7000 m.
One of the key shortcomings of the Breda Ba.64 was that it was a slow, underpowered design. In terms of specifications, it was broadly similar to the more famous Ju87, the dedicated German dive bomber. Despite the Ba.64 being designed as a multirole plane, it was much more lightly powered and slower than contemporary bombers. While the 485 kW engine of the Breda Ba.64 provided it a maximum speed of 350 km/h, the Ju87B had a max speed of 390 km/h with a 1,184hp engine. The instrument panel of the Breda Ba.64. Other reported problems include slow, heavy controls and difficulty in flight. The controls required a careful touch, and a number of first flights became last flights. That is, the difficulty of flying the plane resulted in fatal crashes in training. Additionally, it was prone to dangerous high-speed stalls. In the end, the Breda Ba.64 reflected the bomber designation more accurately than the multirole one. While speed and performance were poor, it possessed a capable bomb load, as mentioned earlier. The official service history of the Breda Ba.64 was quite limited. First ordered in 1935, officially introduced in 1937 and issued to 5° and 50° Stormos of the Regia Aeronautica. Construction of the type reached 42 airframes, before the discontinuation of the production line. 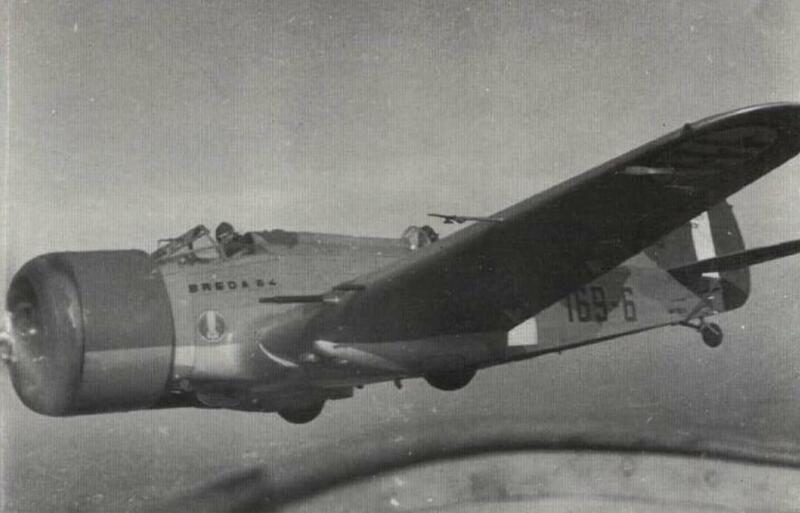 Thanks to the introduction of the Breda Ba.65, the Regia Aeronautica nominally phased out the Ba.64 as early as 1939. However, some became pressed into service, owing to the demands of the war and a lack of airframes. Generally, Ba.64’s kept away from the action, seeing out their lives in second-line and training positions. 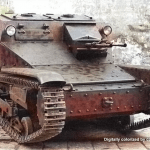 The Ba.64 retired from service in 1939, although they did see some service in World War Two. Beyond the Regia Aeronautica, the plane saw export to the Soviet Union and Uruguay. Two Ba.64 planes were sent to the Soviet Union, although they seemed to live unassuming service lives in the Soviet Air Force. A single Ba.64 served with the Aviazione Legionara alongside numerous other types and Italian ground forces during the Spanish Civil War. The last use of the Breda Ba.64 in active service occurred as late as 1943, with the Italian surrender taking the obsolescent planes out of action.